Dungeon Defenders II is a fusion of some of the best aspects of tower defence games and RPGs, featuring classic elements like loot, pets, a variety of heroes to level up and more. Build defences to survive against progressively tougher waves of invaders, strategize with your teammates, then put it all into action while fighting enemies on the move. The game includes single-player and up-to-four-player online cooperative game modes, as well as two-player local splitscreen co-op on consoles. 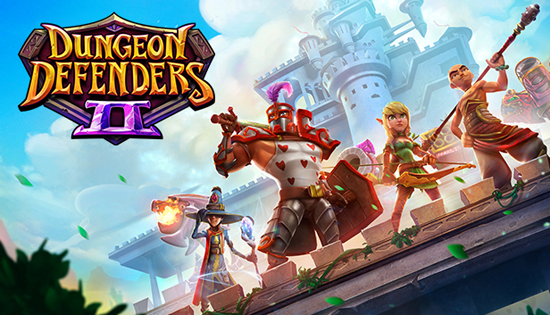 Developed through early access on PC and the PlayStation 4 system, Dungeon Defenders II has evolved through over 60 game updates. These additions have introduced a story-based campaign, as well as tons of new heroes, weapons, defences, abilities, pets, enemies, bosses, maps, challenge options, cosmetic skins, and UI, progression, customization and social systems. Trendy plans to continue supporting Dungeon Defenders II with new content, features and quality-of-life improvements post-release.